Prologue: Tuesday afternoon I received a phone call from a friend in Washington, who told me of information from a trusted source that Bajram Kosumi, "Prime minister" of the provisional Albanian government of occupied Kosovo, will be forced to resign and replaced by than Agim Ceku. "Can they do that?" my friend asked. "Sure they can, " I replied. "They are the Empire, and Kosumi is a client; they can do anything in Kosovo." Well, except protect non-Albanians, their property and culture, anyway - but why belabor the obvious? On Wednesday, Reuters reported that Kosovo PM Bajram Kosumi resigned from office, "under pressure" from "Western mentor states shepherding the U.N.-run Serbian province through talks that could lead to its independence." UN's viceroy and steadfast partisan of the Albanian cause, Soeren Jessen-Petersen, commented: "...we want to support Kosovo, but at the same time we want the leaders and the people to work very, very hard to earn that which they want to see in Kosovo." "There's certainly no one as good as Ceku at removing 'unnecessary delays,' especially if it involves removing unnecessary populations." So let's review here. First Bush II adopts a Balkans policy strategy written by the Clintonites, which amounts to secession of Kosovo, secession of Montenegro, a Muslim-dominated centralized Bosnia and preferably the smallest, weakest Serbia imaginable. Then Kai Eide, the Whitewasher of March, green-lights the final-status talks despite the UN standards (from "standards before status") manifestly nowhere near being met. 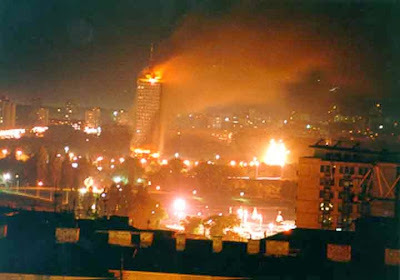 Then Martti Ahtisaari, who was instrumental in tricking Belgrade to sign a truce in 1999 that NATO interpreted as unconditional surrender of Kosovo, and who then joined the Serbophobic and pro-Albanian ICG, is chosen to chair the negotiations. Then, following the death and beatification of Ibrahim Rugova, American and UK diplomats openly declare that independence of "Kosova" is inevitable, and Belgrade should deal with it. Now the "international community" shows the precise extent to which it controls the Kosovo Albanians, by forcing their top officials (Nexhat Daci, speaker of the Albanian parliament, was also forced to resign) out to make way for their KLA pets. Despite his involvement in the deliberate slaughter of Serb civilians in present-day Croatia (for which the Inquisition has hounded his immediate superior, Ante Gotovina), Ceku not only didn't get indicted, he was put on UN payroll as commander of the "Kosovo Protection Corps," a sinecure for KLA veterans established after the occupation. When Ceku was arrested on a stopover in Slovenia, on a perfectly valid and legal Interpol warrant based on criminal charges in Serbia, he was bailed out by Viceroy Harri Holkeri who declared that "Serbia-Montenegro no longer had jurisdiction over the citizens [sic] of Kosovo." Holkeri displayed no such decisiveness during the Albanian Kristallnacht a few months later, hiding instead with the best of the rabbits. After all this, can anyone in Belgrade who still has even a single functioning brain cell honestly believe that the "international community" (i.e. 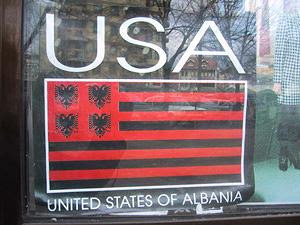 Washington, Brussels and satellites) has anything but an Albanian "Kosova" in mind? There is no doubt about it any more.